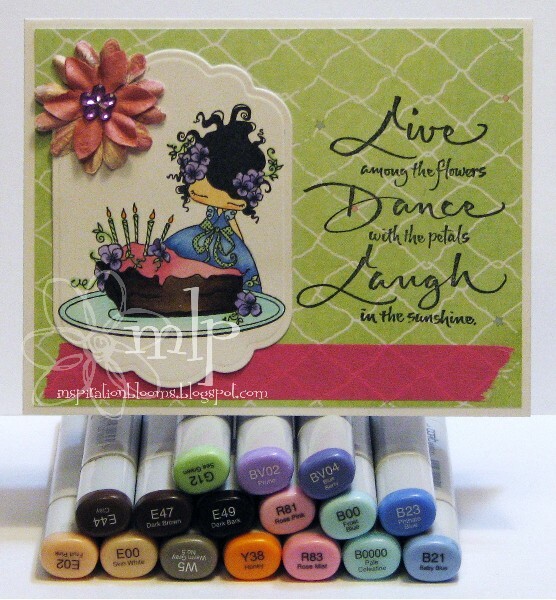 Today's card for iCopic features Stamping Bella's * Gwendolyn Lulu colored with the Copic Markers shown. I framed my image with a Spellbinder's Labels Eleven die. Designer papers are from a Prima Collection. I embellished my card with a simple strip of coordinating Washi Tape. The iCopic store is loaded with new products...stop by with a cuppa and check them out! Michelle - this is adorable!! LOVE that sweet image and the sentiment is perfect!!! Gorgeous pop of color with the Washi too! This is a gorgeous card Michelle! Love the Washi Tape to!